Riddhima takes care of Omkara. He thanks her for coming back. She apologizes for leaving him. Omkara asks her to move in with him. She does not understand his mixed reactions towards their relations. He tells her that he did not take drugs because of their breakup. Omkara tells her importance in his life, and asks her to live in. Riddhima agrees. Meanwhile, Shivay thanks Riddhima for helping Omkara. Omkara feels guilty to meet Shivay’s eyes. Shivay feels responsible for Omkara’s state. The brothers cry and have an emotional moment. 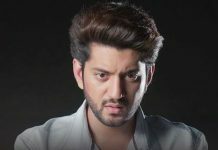 Shivay tells Omkara that earlier when Omkara took drugs, Shivay slapped Omkara, and today Omkara should slap him for his mistake to neglect his brother. He makes Omkara slap him. He speaks his heart pain out. He feels he ignored Omkara and did not understand Omkara’s loneliness. Omkara decides to announce his live-in decision to family. Keep reading.